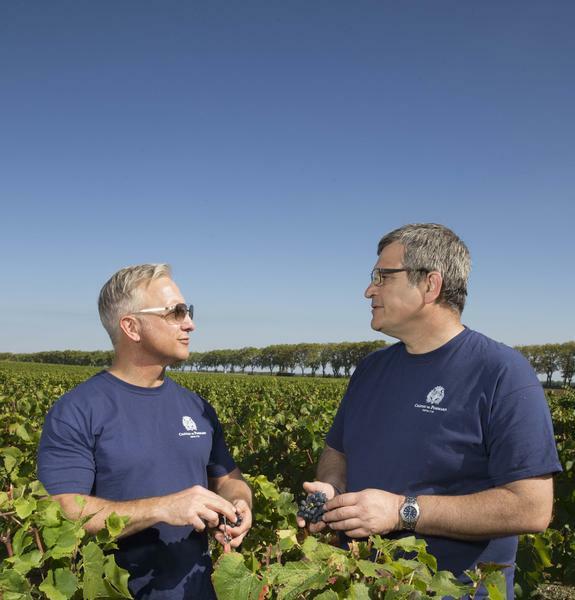 After a nine year search for a place to make fine wine in France, the Carabello-Baum family, from San Francisco ; became the new guardians of Château de Pommard. Far from the fast-paced, technological drum beat of Silicon Valley ; Pommard is a new home for the family to reconnect with nature and fall in love with life. With ambitions for the future swiftly becoming reality ; the fifth family of Château de Pommard are on a quest to expand the domain’s full potential… and they can’t wait to share it with the world. Of all the eminent and original personalities that have called Château de Pommard home, it is the Carabello-Baum family who truly define the modern sense of vitality and passion established by 18th century entrepreneur Vivant Micault. With wife Julie and twin sons Zachary and Jackson by his side, Michael Baum emerged in the new millennium as a respected Silicon Valley innovator, entrepreneur, technology investor and philanthropist, a pioneer of the Big Data revolution, one of the most influential technological advancements of the 21st century. But when Michael isn’t founding a new company, or investing in a new project, or learning to play the guitar, he’s thinking about wine and how to transform Château de Pommard into something that transcends a Burgundy winery, but also retains its core values and deep Burgundian roots. It’s a puzzle that keeps Michael busy. 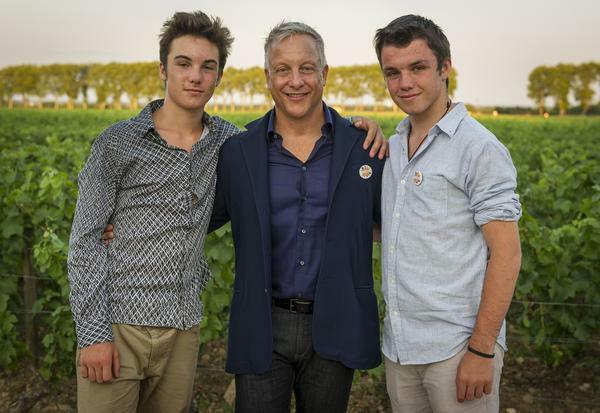 To celebrate the start of their Burgundy adventure and to declare their arrival with a vitality that would have made Vivant Micault proud ; the Carabello-Baum hosted a large garden party on the estate in November 2014. It has been a busy first two years under the Carabello-Baum stewardship. Knowing that the path to beautiful wines start with a well-cared for vineyard, the family first focused on the health and legacy of Clos Marey-Monge as well as the climats of Burgundy. 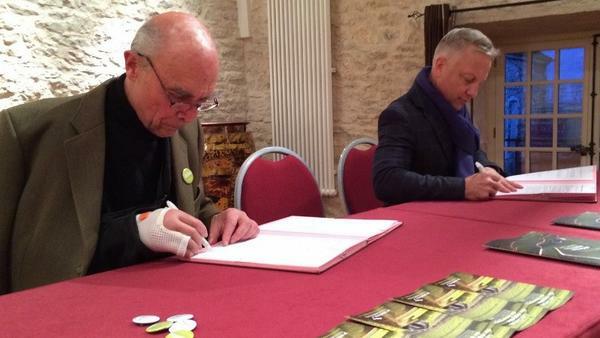 In early 2015, one of the first tasks ticked off the To Do List was to assist the 1,724 climats of Burgundy’s vineyards attain the prestigious UNESCO World Heritage status for Humanity for their Exceptional Universal Value. 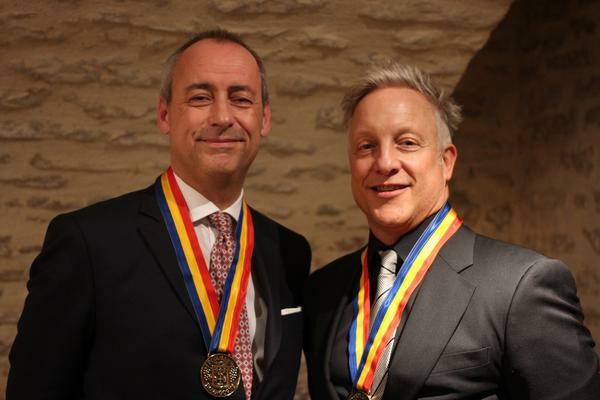 As a Grand Sponsor of this high honor ; the Carabello-Baum family were proud to have played their part, along with other great Burgundy domaines ; in securing such an accolade in their first year operating in Pommard. “We are tremendously proud for all the people of Burgundy that together we have achieved this amazing feat. UNESCO will help attract additional epicureans from around the world to visit this very special place on earth,” said Michael Baum to celebrate the achievement. More progress and positive results from the Carabello-Baum’s winemaking ambitions begin to show throughout 2015 and 2016. In March 2016, The World of Fine Wine ; reviewed the Carabello-Baum family’s first vintage ; Clos Marey-Monge Monopole 2014 ; scoring it 91/100. “From his intimate knowledge of the many parcels on the property, winemaker Emmanuel crafts a very complex and compelling expression of it,” concluded wine authority, Neil Beckett. This was followed quickly by bronze and silver certificates ; respectively, for the Clos Marey-Monge 2012 and 2013 vintages at the 2016 Decanter World Wine Awards ; as well as noted wine authorities James Suckling and Tim Aitken praising Clos Marey-Monge 2014 and 2015, with scores of 91 and 4/5 respectively. Indeed, it is the family’s thirst for innovation, technology and passion ; that inspired the next, most vital, phase of Clos Marey-Monge’s future – biodynamic viticulture. In collaboration with oenologist and agronomic specialist, Antoine Lepetit de la Bigne, Emmanuel Sala and Michael Baum begun the conversion to biodynamic agriculture early in 2016, a move that will assure the Clos’s long-term prosperity. 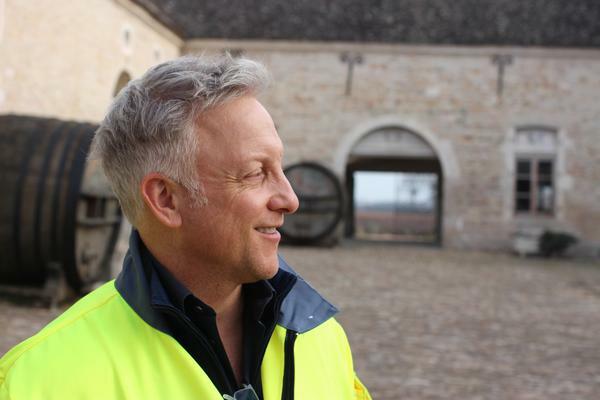 Outside of Clos Marey-Monge, Michael is proactiely pursuing progress and purpose all around the estate. His desire is to not miss a beat when it comes to realizing Pommard’s full potential. As we entered into our 291st year (2017) ; Michael Baum and Emmanuel Sala and ordered a comprehensive geological study and history of Clos Marey-Monge’s soils and subsoils ; and analysis of the vineyard’s ancient formation. 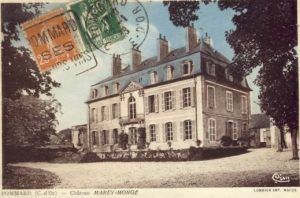 The study took Clos Marey-Monge 150 million years back in time to the Jurassic Age ; when a shallow tropical sea covered the land. As a result, today ; we can identify 10 diverse soil types in the vineyard and how they were formed. By checking the pulse of the land in such a way, the Carabello-Baum family have gained even more, and even better, insights into how they can protect and maintain the soils for future generations. 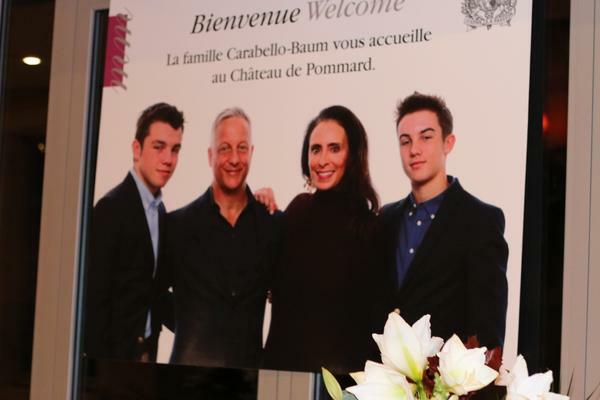 With 2017 set to be the most exciting, and most challenging, year on record for Château de Pommard, it’s clear that the new investment and innovation deployed by the Carabello-Baum family has worked wonders and will keep on doing so for many years to come. With a modern cuverie ; new bottle design, branding, website, new Welcome Lounge, new public tasting room ; new wine experiences and new frame of mind all ready to be rolled out in the new season ; the future of Château de Pommard can’t come soon enough. But, as we know in the winemaking business, good things come to those who wait. 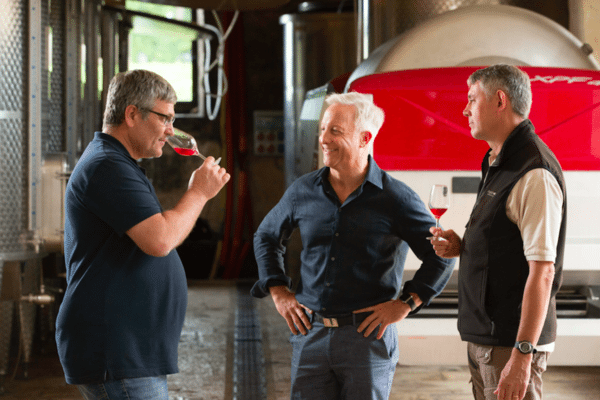 As guardians of this remarkable terroir ; the Carabello-Baum family are catapulting Château de Pommard further into the modern winemaking world ; a place powered by mother nature but assisted by technology and innovation. Their ambition, in order to preserve Pommard for future generations ; is to fuse the two so that they are not competing or battling against each other, rather working together in harmony. I am a wine industry enthusiast having owned French Restaurants in Dallas for the past 40 years. Also after graduating from college I sold wine for Tony La Barbra for more than a decade. I hope to receive news from your Chateau were i have worked with Jean Laplanche 40 years ago.